Ήταν Οκτώβριος του 2013 ότι η Mercedes-Benz ανακοίνωσε επίσημα πως θα χτίσει νέο εργοστάσιο στη Βραζιλία και σήμερα, δυόμιση χρόνια μετά, ξεκίνησε με κάθε επισημότητα η λειτουργία του. Το εργοστάσιο βρίσκεται στη πόλη Iracemapolis, κοντά στο Σάο Πάολο, και κόστισε 600 εκατ. BRL ( περίπου 170 εκατ. ευρώ. ), και αρχικά θα είναι σε θέση να κατασκευάζει 20.000 αυτοκίνητα ετησίως, απασχολώντας 600 άτομα. Το πρώτο αυτοκίνητο που θα συναρμολογείται στις νέες εγκαταστάσεις θα είναι η σημερινή γενιά της C-Class, ενώ από το καλοκαίρι θα ξεκινήσει και η GLA. Ο λόγος για αυτήν την επένδυση είναι πως οι ολοένα αυξανόμενοι φόροι σε εισαγόμενα αυτοκίνητα, κάνουν πολύ δύσκολη την πώληση οχημάτων στη χώρα της Λατινικής Αμερικής, που μην ξεχνάμε είναι μία από τις μεγαλύτερες και ταχύτερα αναπτυσσόμενες αγορές παγκοσμίως, με την γερμανική εταιρία να κάνει ρεκόρ πωλήσεων την περασμένη χρονιά στην τοπική αγορά. Mercedes-Benz is starting local vehicle production in Brazil with a new plant in Iracemápolis. The site was officially opened in the presence of guests from politics, industry and society. The company invests a total of over BRL 600 million in the new plant creating 600 jobs in the beginning. 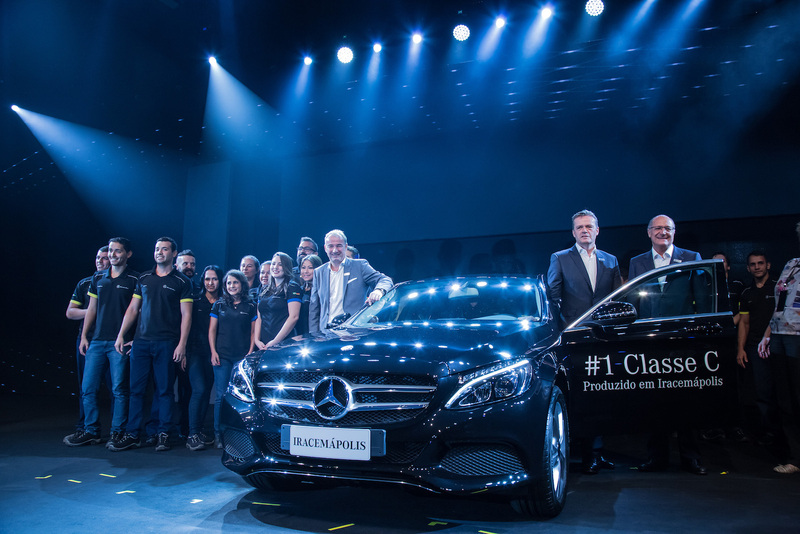 The first cars to roll off the production line in Iracemápolis are the C-Class Saloon and, from summer 2016, the GLA compact SUV. 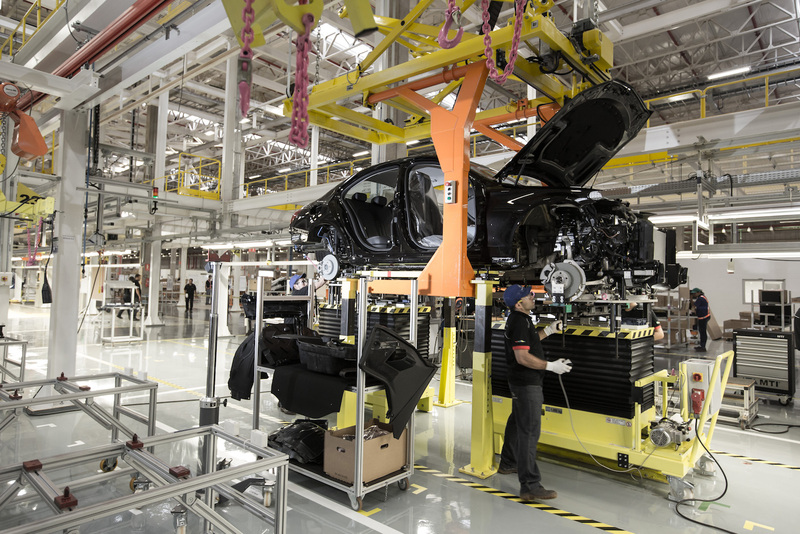 Iracemápolis – Mercedes-Benz has started production at its new passenger-car plant in Brazil, thereby extending its worldwide production network as part of the “Mercedes-Benz 2020” growth strategy. The new site at Iracemápolis in the Sao Paulo metropolitan area was officially opened by representatives of Daimler AG at a ceremony attended by guests from politics, industry and society. The first vehicle to roll off the production line was a black C-Class Saloon. “The opening of the Mercedes-Benz Iracemápolis plant is a further milestone in the development of our flexible and efficient production network. The global production network of Mercedes-Benz Cars comprises 26 locations which are organized in production compounds according to the vehicle architecture. With the local production, we are strengthening our global competitiveness and will be closer to our Brazilian customers and their needs for passenger cars of the premium brand Mercedes-Benz,” says Markus Schäfer, Member of the Divisional Board of Mercedes-Benz Cars, Manufacturing and Supply Chain Management. Following the production start of the C-Class at the Mercedes-Benz Iracemápolis plant, the GLA compact SUV will also be rolling off the production line beginning this summer. In the first stage, the plant is designed for an annual capacity of 20,000 vehicles. Mercedes-Benz achieved record unit sales in Brazil in 2015. “We believe in the long-term perspective of the passenger-car market in Brazil,” declares Schäfer. “The plant in Iracemápolis points the way ahead for our medium-sized plants in terms of layout and technology. The plant’s level of automation is significantly lower than in traditional Mercedes-Benz plants. Thereby, we achieve a highly flexible and top-quality production to satisfy local demand.” As part of the global production network, Iracemápolis is connected to all Mercedes-Benz Cars locations around the world, allowing a location-independent access to production data and process management. Every single installation and every robot, for example, can be centrally managed and updated to new software programmes. Mercedes-Benz invests a total of over BRL 600 million in the new passenger-car site creating 600 jobs at the plant. Further jobs are being generated at suppliers and service providers in the region. Just 19 months elapsed between the concept decision and the start of production. “At Mercedes-Benz, we have tried-and-tested standards and factory kits for our passenger-car plants, both for planning and for installations and processes. Their implementation enabled an extremely short construction period and ensured that the plant was up and running quickly. The rapid project success was facilitated by highly capable partners and the dedication of our team,” adds Schäfer. In terms of the recruitment and training of its workforce, the company closely cooperates with SENAI, the Brazilian national service for industrial training. A new Training Centre has been set up in Iracemápolis for this purpose. To support their training, employees were sent to other Mercedes-Benz plants where they were able to familiarise themselves with the production processes and further integrate the new location into the international plant network through personal relations. One of the leading locations here was the sister plant in Pune, India, which likewise produces the C-Class. Some employees also spent several weeks training at the Mercedes-Benz Bremen plant (Germany), the lead plant for the C-Class, and at the Kecskemét plant (Hungary), which produces compact models. In setting up the plant, the company is also taking account of its social responsibility in the region. In cooperation with local language schools and universities, scholarships for the promotion of the workforce will be put in place. Above that, there will be healthcare offerings for the employees. 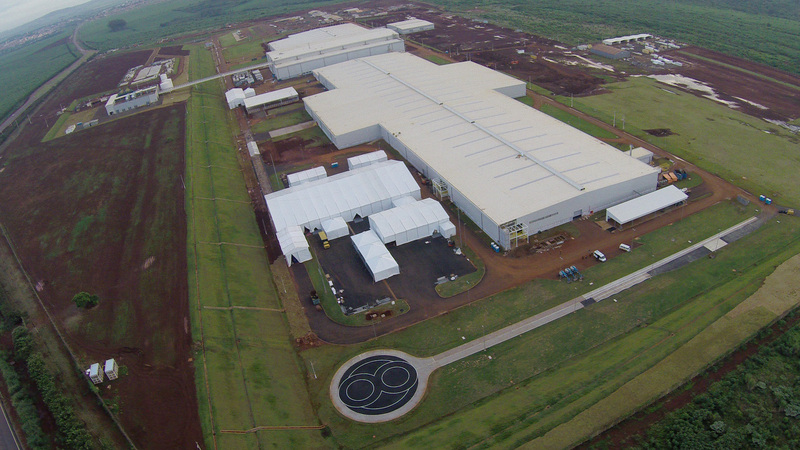 The new plant in Brazil is part of Mercedes-Benz’s global assembly network. This network also includes the production facilities in India, Indonesia, Malaysia, Thailand and Vietnam. At these locations, Mercedes-Benz produces vehicles in various extension levels for local markets.